It’s time for you to learn more about how to balance the feminine and the masculine. These would be the same as the natures of Venus and Mars, whose energies are up for you now. However, they will be a bit inside-out compared to your usual experience of them. Normally, Mars blows through each zodiac sign in about two months. But on December 8th, Mars moved into Libra. For. Seven. And. A. Half. Months. (Until late July.) 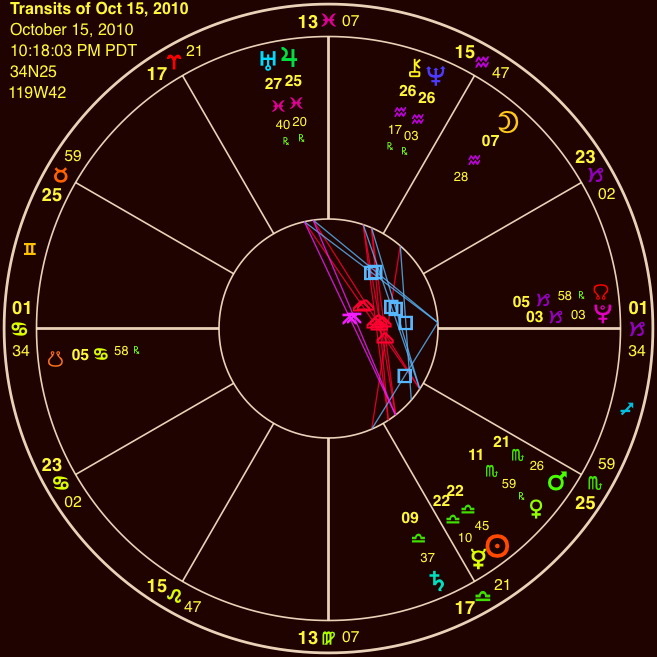 This anomaly is happening because Mars will be spending all of its retrograde period in Libra, and that means your lives will be directly affected until then. Mars won’t spend anywhere near this much time in Libra again until 2029. But Mars doesn’t like being in Libra; he always feels like there’s a court official watching his every move and he can’t act freely. You see, Mars is an agitator. A warrior. He creates action, even where none may be beneficial or desired by anyone but him. He is the ego. He stirs things up. But he also energizes us, and he knows how to move forward and get things done. On the other hand, Venus—which rules Libra—rather likes things the way they are, if things are pleasant and beautiful and gracious, anyway. Even if they are not, she is a persuader, not a fighter. Venus is of a peaceful and loving nature, wishing to harmonize and create lasting social bonds. Forming connections with others is her job. But sometimes, she is lazy and materialistic and overly concerned with mollifying and pleasing others—to the detriment of her own needs. ……this is prime time for conflict with important people around you. The main danger with Mars in your sign is that you may be tempted to be overly aggressive or to inadvertently trample someone else’s fence in your rush to get something accomplished. Your lessons here will come through trying to apply healthy boundaries within all your relationships. Usually, you’re the one trying to adapt and cooperate, but now there is a danger that you will be too aggressive and forget to remember the needs and rights of others. It’s very important to observe and honor the distinction between standing up for what you want and speaking your truth on the one hand, and breaching someone else’s space by aggressively pushing into it. The proper use of Mars is to assert, not to aggress; the difference being the honoring of healthy boundaries, even if the other person isn’t supplying any. To complicate matters, Venus is retrograde—or not too effective—until January 31st. It might be beneficial if we think of Venus as drowsing until then, or at least having trouble being her normal, loving self. 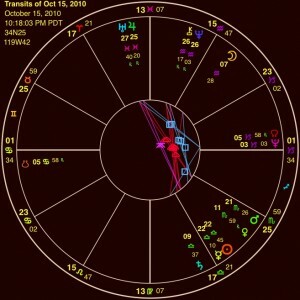 This may create situations in which you all are more aggressive and selfish than usual, so Mars may well try to have his way with your relationships until February. But fear not. Remember this, when struggles threaten to overcome your resolve to love: after much thrashing about, Love will carry the day! Venus is the stronger of the two planets here. Think of it as practice standing up for yourself and what you believe in, while resisting the urge to push back others. As you well know, that will result in a pushback on you at some point. So balance all that energy well. Balancing is a Libran’s job, after all, and you need to set a good example for the rest of us. Pardon me in advance for the length of this letter–I know you’re all busy and I do appreciate that you include these newsletters on your to-do lists. It’s certainly OK with me if you want to read it a bit at a time; in fact, I’d say it’s a good idea to. As with my Mayan Calendar/2012 Solstice letter*, there’s a lot of important information that I want to convey–and I hope it will help you to make sense out of all the stuff that’s going on, both in the world and in your life. Since June 2010, Pluto and Uranus have been forming a square angle (90 degrees) in the heavens, with respect to the Earth. Squares are generally known as angles of tension. These two planets will be forming and re-forming this angle several times over a seven-year period, and we’re about in the middle of those seven years. This combination won’t happen again until 2045, and it is indicative of change in our world. Oh, sorry….I meant CHANGE, with a big–well, all the letters. 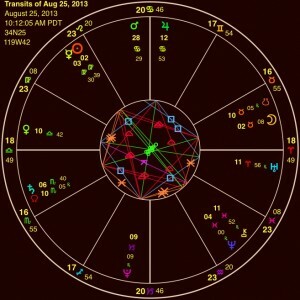 This planetary combination symbolizes pressure building from inside of us. We are feeling guided by higher energies to create vastly transformative and progressive changes to the structures around us. The sign that each planet is in is important to how the energy will manifest; Pluto is in Capricorn, meaning it is the structures of our society that are being pressured to change–governments especially, and corporations. The big, sturdy and seemingly timeless monoliths. And Uranus is in Aries, meaning it is a humanitarian focus for us all, through innovative ideas and technologies, that will be created now. Among the other areas of life under Pluto’s purvey are intentionally-held secrets, the underworld, oligarchies, and the resources of the collective. Uranus rules revolutions and unexpected explosions, independence, advancement toward true brother- and sisterhood, and freedom in general. Pluto steals and hoards; Uranus won’t tolerate selfishness. Pluto is the concentration of wealth and power in a few hands; Uranus is free information for all, with everyone free to go their own way without restriction. You can see how the two might clash. The results of the first three years of this collision are all around us. There have been sudden and ongoing exposures of deeply hidden secrets (Wikileaks, Snowden, LIBOR, TARP, News Corp phone hacking, sports doping and bribery, illegal offshore tax stashes–every day there’re more being uncovered). It is being revealed where money has been hidden–lots and lots of money. It is a time of great revealing of illicit secrets. Corruption is oozing from every overstretched seam of our threadbare overstructure. It’s in the news, if you know where to look, but not talked about too much in the American mainstream media. I think it’s fair to say this is an unprecedented amount of revealing in human history. It is the exposure of information via Uranian technology (the internet) and for Uranian purposes (fairness). 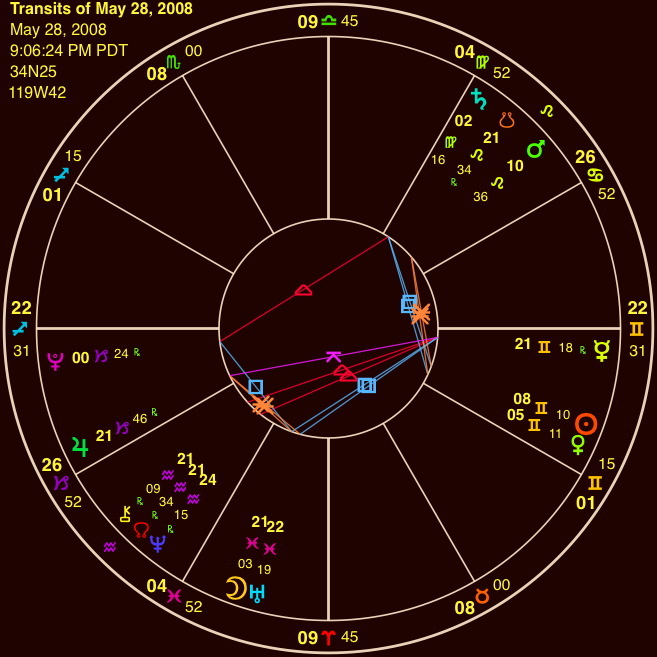 So Uranus seems to be gaining the upper hand here–but Pluto’s real work is not to hide but to expose the truth, and that too is occurring now. In response, however, there has been seemingly greater-than-ever backpressure from the powers-that-be, pushing ultra-hard for changes in their favor. I can’t remember any period in my life when the people at the top were pushing any harder (to get even more power and control). This reflects the current polarization of humanity. Any time someone espouses a definite opinion, it seems like someone else pops right up with the opposite viewpoint, and more often than not they’re in full attack mode. There is such venom out there for whatever seems to be the opposite of “our” point of view. This represents the end point of a fully-stretched rubber band; it must now go back the other direction although hopefully not too fast. The predicament we’re currently in is that, more and more, we’re realizing the extent of our global dilemma and the corresponding need for change. People are waking up, the world is waking up, and our collective unconscious is forcing things to the surface by default. Frustration, outrage, fear, disempowerment, and more are the current feelings we’re processing, and it’s coming to the surface on a scale we’ve never before seen. The Arab Spring(s) and the Occupy movement are symptoms of humanity’s deep awareness of the need for change. With internet video access from webcams and smartphones, etc., it’s now much, much harder to hide anything. As a result, information is spreading and so is awareness, despite the best efforts of those who have been trying to hide more and more for their own purposes. What would be the quickest and easiest (Uranian) way to bring down the most structures in our current society with cool Plutonian effectiveness, you may wonder? It would be to expose the one thing that connects it all: the money, the finances, the economics. Money is the lynchpin holding together the power structures of the world. And the banks hold or control most or all of the money, or at least they claim to. We will find out just how much money there really is–and where it lies–over the next few years. I expect the amount of stolen wealth to be truly stunning, and the masses will not be happy that they were taken to the cleaners. Stay tuned to the economic news. By revealing the hidden wealth, and the identity of the plutocrats who have squirreled it away, Uranus is changing the distribution of our collective resources. Already, procedures are being re-written to keep this theft from happening again. The banking system is signing on to major new rules, and new leaders are promising reform. What is unclear is how quickly the major changes will be implemented, and of course it remains to be seen how effective these will be. But the revolution is underway. The keywords of this change process are “freedom and reform.” At its worst, this pair can augur class warfare; Uranus=the 99%, Pluto=the 1%. 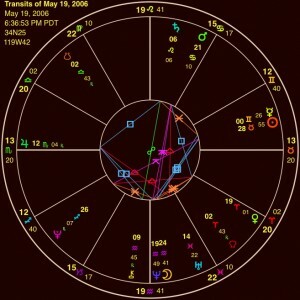 Those who have exercised great control over others (Pluto) will be exposed suddenly (Uranus). But every planet represents good things as well as limiting things. Pluto, for instance, indicates the elimination of outmoded attitudes, structures and behaviors; it breaks down psychological blocks that are standing in the way of our next evolutionary step. 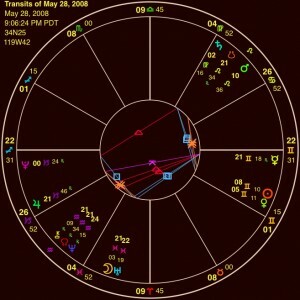 And Uranus can bring in erratic and unstable–even explosive–events that are quite disruptive. Another thing that can happen when these two planets collide is the deepening of scientific knowledge. Did you know the Kepler telescope has now found over 3000 planets outside our solar system? Revolutionary scientific evidence is now revealing the deep structure of the Universe (new instruments are constantly giving us new data, backing up theories of dark matter, dark energy and even multiple Universes–the Multi-Verse!). Note the Plutonian and Uranian themes here as well. My fellow astrologer Rich Humbert says, ‘this is a process in which the world is becoming unified and giving birth to a global consciousness.’ But that birth is proving to be a bit difficult right now. Many of you have heard that ‘it’s a blessing to live in interesting times.’ Well, right about now is when it will start to get really interesting. In the 70’s or the 80’s, most of us had no inkling that anything like the current pace of change was headed our way. (Let alone in the seemingly slower 50‘s and 60‘s.) Back then, people seemed to have more time and greater attention spans. Now is the time called by some “the quickening.” The rapid speed of changes is affecting our bodies and our minds and our psyches. In a way, it’s a natural outgrowth of the increasing complexity of technology, but it may soon pass our human brain’s ability to cope. Our knowledge of the world is expanding exponentially. How can we keep up? In addition to going faster, Time also seems to be telescoping. With the ability to access more history quicker via the internet, we can now “see” more of history at once, and younger people have more of a sense of the big picture of history than ever before. For older people, this time of breakneck change must be especially difficult. I don’t think it’s inappropriate to use the term “psychic whiplash” (if not psychic concussion) for what so many of us are experiencing due to the bombardment of new information, hidden secrets, newly revealed history, changes in society’s direction, DNA technology only dreamed of 40 years ago, and so on and on andon andonandon. Something has to change. It must; we cannot go on this way. The two planets involved mirror processes deeply rooted in our subconscious–unless we actively bring them to light with our awareness. Pressure that we remain unconscious of all too often finds an unexpected escape route, taking the form of tragic events. But it doesn’t have to be that way if we become aware of it. You have the option to be mindful, and to create the change in your life that you know deep down inside needs to come out. If you don’t know what needs to change, then it’s time to sit down and take a good, quiet look inside. Most of us older-sters were brought up being taken care of by social entities–like the government, the company and our family. We did not have to gather information ourselves, and much was given to us. But with the shift away from (or the collapse of) these entities, we are having to (but are able to) find information ourselves and choose whom we align ourselves with. The old support structures we knew are disappearing, or at least transforming. Perhaps this is some kind of call unto spiritual adulthood, where we have to really take responsibility for our own lives (eek!). In an age of transformation, what isn’t working must either change or fall away. We have to be the agents of change, or else we will be used by another agent in the process of change. We can use this transformative energy consciously. Those of us who hold onto the old the most tightly will be those who have the most trouble. But we can choose to be delighted, or astonished, or frightened by the future as it unfolds before our very eyes. Perhaps it’s best to just step back occasionally and take it all in, marveling at the changes taking shape around us. Maybe this will lead us to acceptance, and then to taking part, one step at a time, in the creation of the new future–a future that will be built by the many, instead of by the few. Will there be a revealing of our suppressed collective history? Of government knowledge of extraterrestrial visitations on Earth? Whichever secrets come out, can we face and accept them? 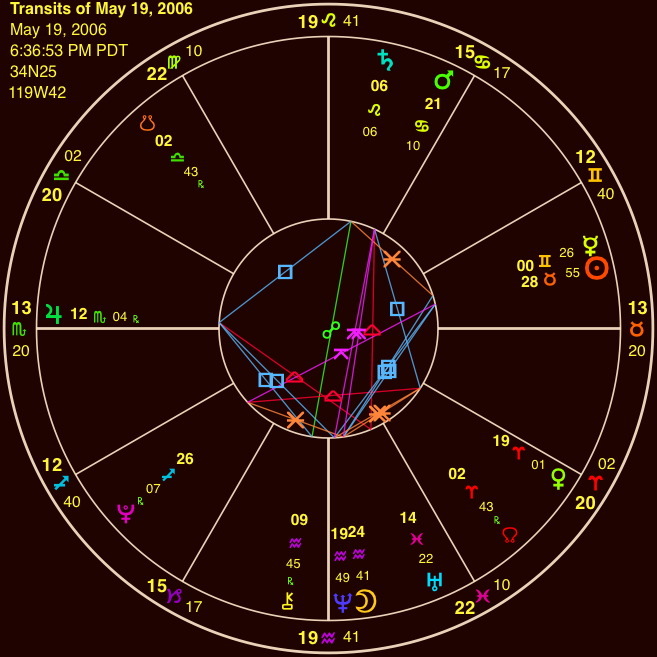 The ongoing pressure of Pluto-square-Uranus will continue until early 2016. It’s important that we learn to let go because we really can’t stop this. But we can help guide the flow of energy. The Serenity Prayer applies. What can you do to lessen the ongoing pressure in your life? Consciously and regularly disengage from your electronic devices, reconnect with quiet, with stillness, with silence, with nature. If we all recognize the need for this, it will become a priority to create more of it in the outer “noisy” world of our society. Feel once again what it’s like to be unavailable to others for even an hour. Give that time to yourself, to recharge and feed your spirit. This pressure may be a call for us to lighten up on the material world and begin to place more importance on the finer things–like love and forgiveness and letting go of fear and stuff like that. Do not be afraid of the changes. Think about all the things that could be better: in the US, the health care system, the homelessness, the political stalemate. In the world, the extremist religious views, the remaining wars, our addiction to unsustainable energy sources, the destruction of the oceans and the rainforests. We really, truly, deeply need changes, and not little ones. We can take part in them instead of shrinking back from them. What is crucial is a willingness to change, and to be aware at almost every step along the way of what’s not working, both within us and around us. Uranus says: “if it’s hurting someone, it’s not working.” We have to open up our eyes, take off our blinders, and be willing to grow. Can we humans look ourselves in the mirror and see the ugly part of the reality we have created? And not point the finger in blame or denial? We must learn to let our layer of compassionate caring for others hold sway over the selfish layer of me-first. And keep in mind the selfish layer isn’t just me-first; it’s my group first, my country first, my religion first–any extension of our egos to encompass what we identify with. Humans are generally wired to be afraid of change, that’s why we don’t change until a crisis presents itself. Well, THE CRISIS IS HERE. There’s only one way we can escape serious retribution: we can fix it, all of it. We are brilliant, loving and resourceful. Let’s do it, together, because that’s what time it is. It’s got to be all of us or none of us, that’s what Uranus is trying to instill in us–Uranus is the ruler of Aquarius, and therefore of the coming Aquarian Age. It will be here sooner than we can imagine.